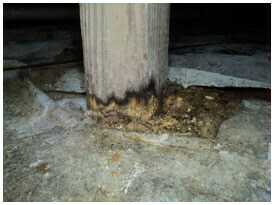 Prevent Crawl Space Foundation Problems On Your Pier And Beam House. If you want to avoid crawl space foundation problems, you’ll want to stop issues and avoid high costs by protecting your property. Crawl space foundation problems in Dallas or Fort Worth homes are largely caused by soil and weather and you’ll want to guard against these. Excessive moisture creates the need to repair foundations, including pier and beam structures. It is almost always the result of one of these three things: (1) standing water under your home or structure due to rain (2) plumbing leaks or (3) poor soil conditions. Local temperatures can affect your foundation and cause crawl space problems, too. You’ll want to prevent these types of issues because they can prove costly. When moisture accumulates in a crawl space under your pier and beam house foundation, it not only emits a bad odor, but is also a breeding ground for mold, bacteria and spores that can affect the quality of indoor air. It Wood-boring insects such as termites are attracted to moisture and can damage the wooden members (such as beam and joists) under your house or structure. In addition, rodents are drawn to wet earth, dark areas and pose additional health risks. It’s important to protect your foundation from the local climate because it can impact your crawl space, too, and create all kinds of concerns. 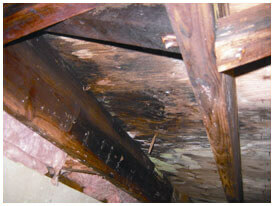 High foundation repair bills on pier and beam houses are best prevented at all cost. In the past, code-enforced crawl space ventilation was commonly considered to be adequate to prevent crawl spaces from becoming too moist. Vents can be effective, but only in parts of the country that are not prone to high humidity. In certain areas of the U.S, vents can actually increase the amount of moisture in your crawl space foundation and affect the dirt. You’ll want to guard against that. What’s more, when it’s extremely cold outside, the cool air beneath your structure can lead to increased energy costs. To find out more, please read this information about protecting your foundation from weather and soil conditions in North Texas. There are a number of ways for homeowners to decrease moisture levels in crawl spaces including the use of dehumidifiers, vapor barriers (liners) and encapsulation. 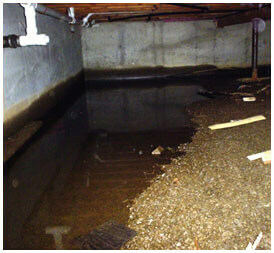 Vapor barriers and encapsulation prevent water in the earth from being released into the crawl space. They safeguard your crawl space. It’s important to remember foundation problems are start when water evaporates from the soil and this, in and of itself, is a cause of some degree of humidity. A drainage system around the crawl space may be required, along with a sump pump to keep the soil under the liner dry and protected. While HD Foundations does not service crawl spaces, we can expertly repair any foundation damage that your pier and beam home has suffered. Whether your property requires the installation of foundation piers or new wooden members, why not schedule a free estimate online today? Or, just call the company that has extensive experience making repairs on wooden foundations and protecting it from weather. We install concrete piers as well as steel ones.